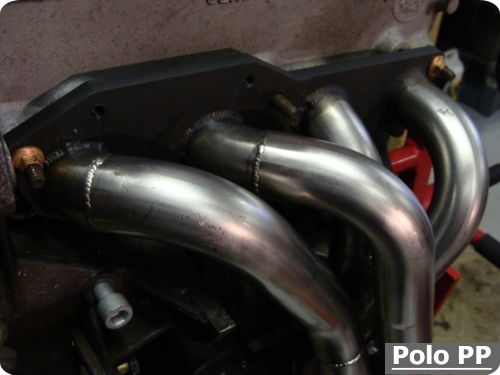 A beautifully crafted 4-2-1 exhaust manifold. Will fit any petrol polo engine up to 1994. The first runner is designed to clear the G-Lader supercharger on a G40 which a lot of polo manifolds aren't. Also has a lambda probe boss. The manifold terminates in a 63mm opening. Please enquire about this item for info on how to buy. By appointment only. Contact us with your specific requirements. Please enquire about this item for pricing. Viper Performance Dealer - individual hoses, G40 replacement kits. Various lengths, elbow and stainless joiners available on request. High quality systems to fit Polos up to 1994. Available in single silencer and twin silencer variants. This is a "cat-back" system. 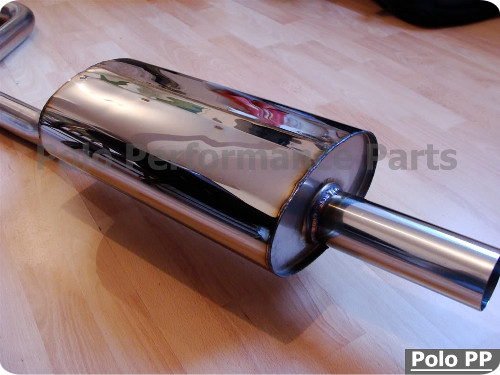 Single silencer system is ideal for turbo conversions. A gallery of pictures is here. 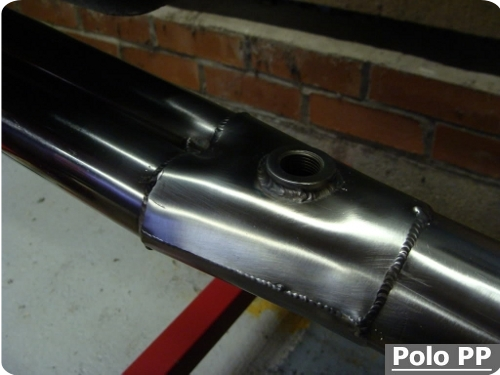 Twin silencer system, great on any polo.